Playfully nicknamed “Zune 2K” day after Y2K day, owners of Microsoft Zune devices began reporting that their devices had malfunctioned and refused to boot up. The problem turned out to be a “a bug in the internal clock driver related to the way the device handles a leap year,” as described by Microsoft. 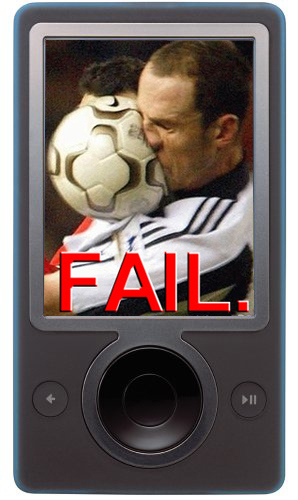 The problem would fix itself on Jan 1, 2009 if users let the battery run down and then reset the device on that day. Certainly, the publicity from this gaffe couldn’t have helped the perception of the Zune in the marketplace, as by this time Apple’s iPhone had started its dominant rise. Microsoft said it would issue a bugfix for the device so that this problem wouldn’t re-occur in 2012, but by that time, Microsoft had already killed the Zune line of devices so I’m not sure if the problem was ever actually fixed. The world waits in anticipation of the year 2000 and the potential disasters that might be brought about by the Y2K bug. Personally, having worked years in a corporate environment getting ready for Y2K, I was pretty confident that nothing major would happen. So just for fun, I set up my home with a remote control to turn off all the lights in my house and the TV our friends would be watching at our New Years’ Eve party. Seconds after midnight, I pushed the remote control in my pocket and everything went out. There were definitely a few people at my house that night who thought the apocalypse had come. Technology practical jokes are so much fun! 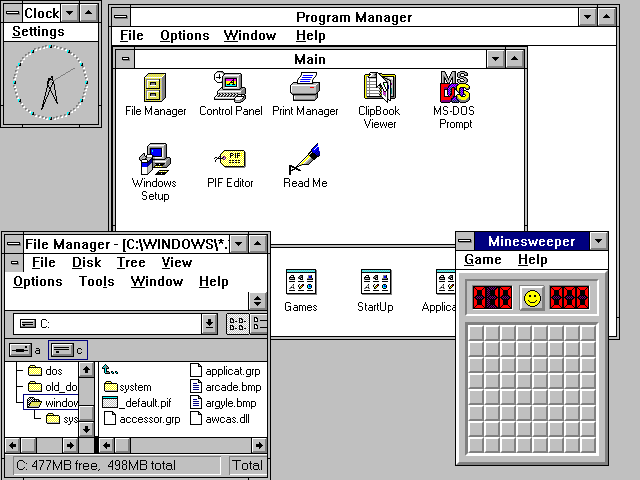 Microsoft releases version 3.11 of Windows, a minor upgrade to Windows 3.1. 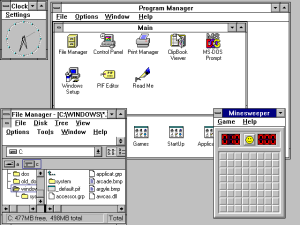 It became the last stable version of Windows before Windows 95 was released in August of 1995. American Bell, at the time parent corporation of the AT&T company, reorganizes and transfers its assets into AT&T. American Bell was incorporated in Massachusetts and AT&T was incorporated in New York. Massachusetts corporate laws would have limited the growth of American Bell so by reorganizing, AT&T could bypass Massachusetts law by becoming the parent company of American Bell and the Bell System. Eventually AT&T would become a legalized monopoly in the United States. Station KC2XAK of Bridgeport, Connecticut becomes the first Ultra high frequency (UHF) television station to operate a daily schedule. How many of you are wondering what UHF TV is? Raise your hands … don’t be shy! 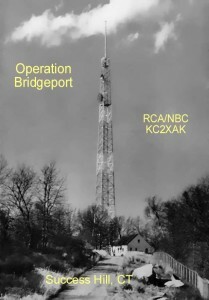 Set up as a working experiment by RCA and NBC, the station was used to test if the UHF spectrum was feasible to broadcast TV. Codenamed “Operation Bridgeport,” after two-and-a-half years of successful transmission, the station was shut down. The UHF transmitter was purchased, dismantled, and reassembled in Portland, Oregon to power the first commercial UHF station in the United States. The world’s first projected movie screening takes place at the Salon Indien at the Grand Café in Paris, France. 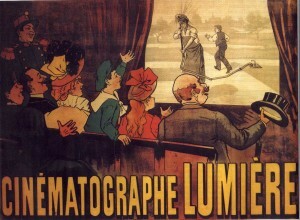 The makeshift theater uses the Cinématographe created by the Lumière Brothers, one of the earliest motion picture projectors in history. Thirty-three people attend at the admission price of one franc each to view 10 films at about 50 seconds each. 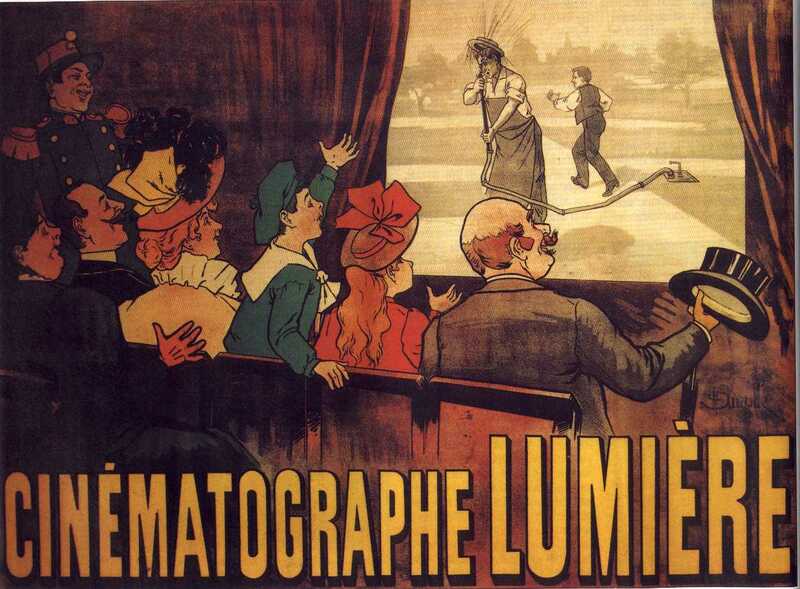 The first film, La Sortie des ouvriers de l’usine Lumière, was created especially for the occasion. It shows workers leaving the Lumières’ factory in Lyon by foot, by bicycle, and by car. Time Magazine awards its “Man of the Year” award to the personal computer, calling it “Machine of the Year,” the first non-human to receive the award since its creation in 1927. Describing the personal computer as 1982’s “greatest influence for good or evil,” the article titled “The Computer Moves In,” recognizes that the capabilities of the personal computer can be multiplied almost indefinitely by connecting it to a network of other computers, which can be used to access electronic databases or send electronic mail. 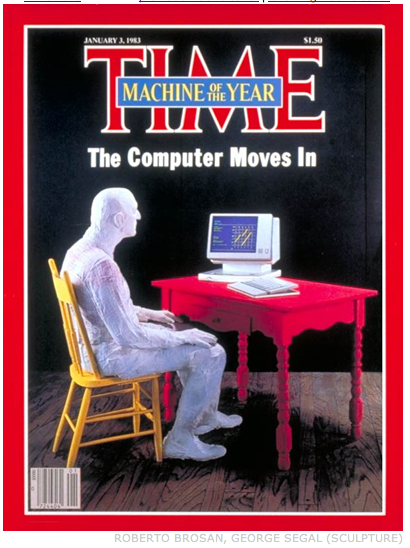 The article stated that 80% of Americans expected that “in the fairly near future, home computers will be as commonplace as television sets or dishwashers.” Beating out other candidates such as Ronald Reagan and Margaret Thatcher, Time stated, “There are some occasions, though, when the most significant force in a year’s news is not a single individual but a process, and a widespread recognition by a whole society that this process is changing the course of all other processes. That is why, after weighing the ebb and flow of events around the world, TIME has decided that 1982 is the year of the computer.” 724,000 personal computers were sold in 1980 and this figure doubled in both 1981 and 1982. 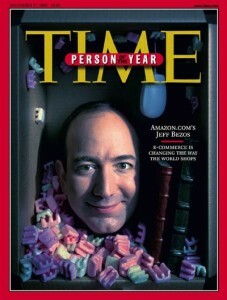 Certainly, those who were paying attention at the time recognized that the personal computer was transforming society. 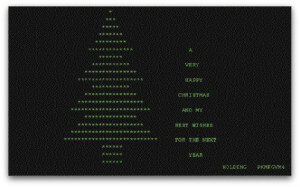 The Christmas virus begins to effect IBM mainframe computers around the world. Technically defined as a worm, the Christmas virus drew a Christmas tree text graphic on the victim’s monitor and searched out other network users. Named CHRISTMA EXEC because IBM systems only supported eight-character filenames, it was the world’s first widely disruptive computer worm.